As a person ages, their physical abilities begin to change. It is often said of aging athletes that they use their experience to overcome their physical deficiencies, and the same can be said for senior golfers. But the golf swing can be very forgiving to the changes that come with age, provided you know how to alter your swing to accommodate your physical changes. It also helps to understand the newest equipment that will help to put your game right back on track. You might not be able to hit the ball as far as you used to, but you can still get plenty of distance and improve your accuracy with the right equipment and swing modifications. The key to enjoying golf in your senior years is to welcome your physical changes, and discover new ways to get the most out of the game of golf. Why Does Golf Change With Age? In order to understand how to maximize the game of golf in your golden years, you need to understand how the realities of aging affect your game. Some people remain in top physical condition deep into their later years. But for most people, there are inevitable changes that are going to cause your golf game to change. As we age, the parts of our body associated with movement start to show some wear and tear. Our knees become weaker, and our shoulders cannot lift as high as they used to. This is all a normal part of the aging process, but it can also make the game of golf more difficult. We can make changes such as renting a gas-powered cart instead of walking and adjusting our swing to make up for the lack of shoulder mobility. Most senior golfers who enjoy the game their entire lives accept these changes as part of playing the game, and they invest in the right equipment to make these changes easier to handle. Muscle mass deteriorates as we age, and we start to lose the strength we had in our younger years. While it is true that being strong and powering your club through the ball can make it go further, a mechanically-sound golf swing needs very little power to be successful. The deterioration of our strength can also make carrying our clubs difficult for 18 holes, and it can make the actual process of playing a full 18 holes more challenging. One of the most difficult things for a person to do is swallow their pride and accept that their body changes as they age. But once you get that pride under control, you can make sweeping changes that will create a swing that maximizes your abilities. As we age, conditions such as arthritis and gout can make movement difficult. Since arthritis is a degenerative condition, it will affect your golf game for the rest of your life. As with any other physical changes in your life, the aches and pains of aging can be combated with changes in the swing and better equipment. Limited movement due to arthritis can be overcome with small adjustments to the way you swing the club. There are plenty of newer and lighter materials available that will allow you to maintain control of your swing from start to finish. If you are experiencing the slow onset of pain due to aging, you should not give up on your golf game. There are ways to put the aches and pains to the side and still reach the green in regulation. When you are younger, you tend to take your good vision and strong depth perception for granted. As you get older, your ability to judge distance and see the green from the fairway can be affected. It is important to see your eye doctor frequently as you get older, and it is also important to stay up-to-date on the latest golfing equipment that will help with your eyesight. When your eyes have trouble judging distance, the sun can be a powerful enemy. But with the new technology being introduced in sunglasses, you should be able to find the perfect way to see the green and divert the glare of the sun. There are also glasses that can help with clarity in your vision, and can help you to improve that critical depth perception. Many of the best golf tips for seniors revolve around adjusting their swing to fit their new physical capabilities, and finding the right equipment to make the game fun. As you get older, you need to re-evaluate every aspect of your game to find ways of maximizing your results. These tips have to do with adjusting everything from the swing to the ball to make sure that the drives are straight and the putts are for birdie. A good golfer is constantly trying new things and experimenting with new clubs to update their bag and enhance their game. If you follow this approach, then getting fitted for equipment that will improve your game as you age is a good habit. As you get older, there are certain types of equipment you should be looking at that will help to compensate for the changes your body is experiencing. The best grips for senior golfers are the ones that not only feel the most comfortable, but also create the most stable grip. Oversize grips have been around for a while, and they are excellent for golfers who need added stability to their grip and swing. The oversize grip is softer, which makes it more comfortable and easy to grip. A senior golfer who is developing arthritis in their hands will like how the oversize grip makes wrapping their hands around the club that much easier. The material in an oversize grip allows golfers to apply as much or as little pressure as they want, which brings added stability to the grip. The graphite golf shaft has undergone some major changes since it was first developed, and from that evolution comes the best golf shaft for seniors. A graphite shaft is a special shaft made from a very flexible carbon-based product that bends but won’t break. In the early days of graphite shafts, it was like putting a golf club head on a whip. Golfers had no control, and the results were erratic. But things have changed. 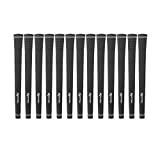 Now there are several lines of graphite shafts that are the best senior flex golf shafts on the market. Today’s graphite channels all of your energy into creating the right level of power on contact. The older you get, the more power you lose in your swing. With a flex shaft, you can get some of that power back and keep your accuracy. As you get older, the way the club head feels as you swing the club changes. There are a lot of reasons for this, but there is also a way to counteract it. 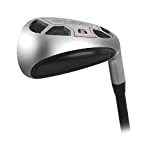 Over the years, the golf head has been subjected to new technology that not only allows you to change the weight of the head, but it also allows you to change the weight distribution of the head as well. You can add and remove pieces to strategic points on a club head to change how heavy it is, and how the club feels when you shift your weight during your swing. The new golf technology allows an aging golfer to adjust almost everything about their swing, including the way the club reacts during the follow through. With the new club heads that can be weight adjusted in several different ways, a senior golfer never has to buy a new set when age forces their swing to change. There are many aspects of becoming a senior golfer that force you to have to swallow a little pride and do the right thing. As you age, your posture, stance and even height will change in ways that will significantly affect your swing. Since golf technology has not quite figured out how to make adjustable clubs that are reliable, you will have to become familiar with the art of fitting a club. Fitting golf clubs for senior golfers is an art as much as a science. It is important that you use your natural stance and swing when you are fitted instead of trying to convince the pro and yourself that you are still 30 years old. The pro will slightly over-compensate in some areas such as shaft length to make sure that your clubs will last you a few years. The ability to alter the weight of a club head means that properly fitted clubs should last you for a long time. Are Hybrid Clubs the Answer? A hybrid club is designed to give the distance and accuracy of an iron, but without the extra club head weight. When you use a driver or three wood, the face acts like a trampoline and launches the ball out into the open air. An iron or wedge does not have that kind of give, which makes the results unpredictable. Irons can also be extremely heavy to swing, even for younger golfers. For seniors, hybrid clubs offer the chance to get good distance from the fairway while also getting good accuracy as well. But there is a trade-off that comes with using hybrids, and that involves the distance. Hybrids are not marketed like irons. For example, a four iron might give the average golfer a range of 190 to 200 yards, but a hybrid in the range could go much further. It may take some time for a senior to become accustomed to judging distance with a hybrid after years of using irons. Another issue with hybrids is getting the kind of backspin one would expect with a wedge or iron. Hybrids are tricky when coming out of the rough, but that can also be said about irons. But getting the ball to check with a hybrid out of the fairway can also be a challenge, especially for a senior who is still trying to figure out how age is affecting their swing. What can hybrid clubs offer senior golfers? Hybrids will give the senior golfer more distance from the fairway and the ability to try and make up for bad drives or chip shots out of the rough. But hybrids also create a problem with accuracy, and that is something that the senior golfer will have to work on if they want to benefit from the distance hybrids have to offer. Is Custom Fitting Worth the Money and Effort? To be honest, custom fitting golf clubs is very expensive. A little earlier, we discussed the benefits of having clubs custom fit properly. But the ultimate decision on whether or not you get custom clubs should be based on overall value. If you get clubs fitted the right way by the right professional, then it could be an investment that will prevent you from having to buy clubs for a long time. When you hit the age of 50, your body starts to change. The aging process becomes much faster and more pronounced when you age from 50 to 70. When you think about how little your body really changed when you went from 18 to 40 years old, you can start to appreciate how fast the aging process takes over after 50. These physical changes will require golf clubs that fit your swing. Good clubs can not only keep your swing comfortable, but they can also prevent injuries. As you get older, custom fitted golf clubs become more important. When you get to 50 years old and beyond, your body is less forgiving when it comes to little inconveniences in your golf swing. If you want to enjoy the game in your later years, then investing in custom fitted clubs is going to be a very smart move. If you have ever watched golfers in their late 60s or 70s swing a golf club, you might notice that they have a simple golf swing that involves almost no backswing. The reason the golf swing for seniors tends to lose the backswing is because of the physical limitations that come with age. There might be too much pain in bringing the club back, or they might physically be unable to bring their arms up that far anymore. The golf swing of older golfers does change over time, and the worst thing you can do is fight it. Many senior golfers find that the easiest golf swing to master is the one that comes naturally. From a very young age, golfers are taught to keep their feet on the ground during the back swing to make sure they make good contact. This gets drilled into their heads, and it makes it very difficult to break that rule when they get older. Golfers who start learning the game at an older age are at an advantage because they are not hindered by decades of focusing on staying flat-footed during their back swing and it is easier to learn the best golf swing for inflexible golfers. Lifting the heel of your front foot while swinging is not only acceptable, it can help older golfers to get more power. The key is to make sure that you bring that heel back down in time with your follow through. Since most older golfers have much more of a follow through than they do a back swing, being able to life the heel of their front foot can be a great help. When you get older, your back and hips can start to hurt after physical activity. As you age even more, they might just hurt as part of you daily routine. This is why the golf swing for seniors shortens the back swing, and can even shorten the follow through. Not only do they shorten the swing, but they also tend to drag their back foot through the swing more to help relieve pain. Some professionals call this “walking through the swing” and it is very common among older golfers. The long putter (a putter with a shaft that either comes up to the golfer’s stomach or is higher than the shoulder) is a controversial piece of equipment on the pro tours because some players feel it gives others an unfair advantage. But since the majority of senior golfers are not professionals, they can benefit from this type of putter to relieve pain as they get older. The act of leaning over a putt and then crouching to take the shot gets to be almost unbearable as arthritis and other age-related conditions set it. The best way to get past those problems is with a putter that allows you to swing like any other club in your bag. If you are a golfer who has hit the 50 year old mark or beyond, you may want to try out a long putter and see just how much it really helps. When we investigate the best golf swing for seniors, we need to keep an open mind about the mechanics of a good golf swing. The reality is that the physical limitations that come with age will prevent just about any senior golfer from executing a perfect golf swing. But there are still plenty of swings out there that will get good results for any senior who still wants to keep their clubhouse handicap down. The idea behind the hammer swing is that the same precise but powerful technique used to drive a nail into a board with one strike can also apply to a golf ball. The hammer swing will allow a senior golfer to use a more compact arc, but still hit the ball for distance and accuracy. It is a swing that is based on the idea that a simplified swing that can be used by just about anyone will get excellent results. How can seniors benefit from a swing that has no backswing? As we mentioned earlier, age can limit your mobility and prevent you from being able to make a complete backswing. In to have a complete backswing, you must bring the club over your head until it is parallel with the ground. Arthritis and the aging process can make that difficult, but that does not mean you have to sacrifice accuracy or distance. As the video demonstrates, it is still possible to hit the ball for distance without much of a backswing. While not everyone can consistently hit a 300-yard drive, anyone can put the ball into play in the fairway by focusing on making good contact on the follow through. It can take some time to get used to a no backswing golf swing, but it can be very beneficial as you get older. A compact golf swing includes an abbreviated backswing with a limited follow through. In a standard swing, the follow through plays a big role in creating accuracy for your shot. When you cut down on that follow through, you have to find ways to develop accuracy and distance. For seniors, a compact swing can be ideal because of its ability to deliver results with a limited range of motion. To compensate for the lack of a full follow through, the golfer would close their stance a little, and bring their arms in closer to their body. After some practice, you should be able to master this compact swing and you will notice that it is not nearly as physically demanding as many other types of swings. The three-quarter swing is popular among professionals on the senior tour because it allows for a larger arc than the compact swing, but it does so without the movements that can cause pain. Senior golfers often find that turning their hips to get power into their swing is more difficult than when they were younger. The three-quarter swing allows you to turn your hips slightly to create that club head speed, but not so much that it is going to cause discomfort. Getting older means that you will have to find ways to compensate for your lack of flexibility. Younger golfers tend to take for granted their ability to address the ball in ways that generate a lot of distance. Senior golfers need to rearrange everything from their set-up to their follow through to get more distance. There are three changes to the swing set-up seniors can make that will generate more distance and eliminate discomfort. The normal overlapping golf grip has both of the thumbs pointing straight down the shaft of the club for maximum control. Senior golfers will want to shift their thumbs to the right so they are more in line with their right shoulder. This takes pressure off the shoulders and allows seniors more control during their swing. The next change is to take your plant foot (the right foot for right-handed golfers and the left foot for left-handed players) and turn it outward. In a standard stance, both feet are pointing straight head to create accuracy. But this sort of stance could actually cause hip injuries for senior golfers as all of their weight comes back on that plant foot during the swing. Turning the plant foot outward prevents the full movement of the hips and give the body more support. The last tip seniors should use to improve their swing is to move the ball back towards the toes of their plant foot instead of the heel. When you turn your plant foot outward, you change the spot at which you should strike the ball. Moving the ball back towards the toes of the plant foot instead of the heel puts the ball right where it needs to be for maximum results. When we are younger, we want the best possible golf swing with a lot of speed. We do this because, when our bodies are younger, we can swing hard to try and get more distance. But the truth is that, at any age, it is the way we make contact with the ball that determines distance and accuracy and not the speed. Senior golfers need to learn to develop a swing speed that is comfortable for them and makes the most sense. The fact is that if you swing hard as a senior, you will hurt yourself. There is no need to swing the club with maximum velocity to get great results. Focus on strong swing mechanics and use a speed that gives you the right amount of control and the least amount of discomfort. The best golf stance for seniors is based more on comfort than on mechanics. People who learn to play golf at an older age are often at an advantage because they do not have to readjust a swing they have been using for years. The swing stance for a senior golfer has to be compact, but comfortable. It has to offer plenty of support for the hips and back, but it does not need to sacrifice distance to do so. We have discussed several ways to adjust your set-up as you get older to compensate for any physical changes age may bring. It is important to remember that bending the knees instead of crouching over your swing will prevent back pain, and opening up your stance and turning out your plant foot will prevent injuries to your hips. It is also a good idea for seniors to reach out to their local club professional to get some tips on how to adjust their stance in ways that will get good results without any physical side-effects. The best golf clubs for seniors offer the flex graphite shafts and broad club faces with large sweet spots. We discussed earlier why the best golf clubs for senior players who want better accuracy and distance off the fairway are hybrids, and we also mentioned the benefits of long putters. Here are a couple of quality products seniors can add to their bags for better scoring. Images, Ratings, & Prices from Amazon Product Advertising API - Updated on 2019-04-20 at 01:48 - contains affiliate links (see footer). The best golf sets for seniors would include the essential hybrids, specialty wedges and a lightweight bag. As you search for the best golf club sets for seniors, you will probably have to replace the putter in the set with a long putter, but you can always sell the smaller putter to offset some of your costs. Remember that the best iron sets for senior golfers have a broad, deep face with plenty of give. 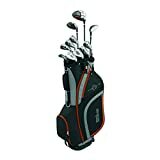 To save time and money, we recommend this Wilson set that comes complete with the right hybrids and irons for seniors. In the golfing world, the best driver for senior golfer enthusiasts are usually made by the brands that people recognize. 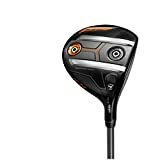 A company such as Callaway is know for making the best golf driver for seniors because of the large club heads and the shaft options the company offers. 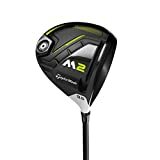 Meanwhile, TaylorMade has been making quality clubs for seniors for years, and the company is well-known for its innovative technology. The best fairway woods for seniors are rapidly turning into hybrid clubs, but you would still need the best 3-wood for senior golfers if you want real distance off the fairway. 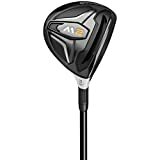 The best hybrid golf clubs for seniors tend to take the place of clubs like the 3 or 4-iron, and there is always room in any bag for the best 5-wood for senior golfers because 5-woods are known for their versatility. Some seniors prefer to use irons over hybrids, and the best irons for senior golfer enthusiasts have larger club faces and large sweet spots. 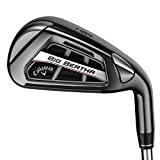 We chose these two choices as the best golf irons for seniors for their flexible shafts and oversize strike zones that make the game easier for seniors. Every golfer knows that sand and pitching wedges will get you out of almost any kind of trouble on the course. 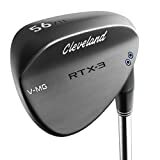 The best pitching wedge for senior golfers has a stiff graphite shaft for accuracy, while the best sand wedge for senior golfers has a broad face put at an angle that allows you to get up and down easily. We chose these two clubs for their senior-friendly features, including softer grips. While we feel that the best putter for seniors is a long putter, many players are not comfortable with the longer shaft. If you are more of a traditionalist, then this putter has the kind of accuracy and control that you are looking for. The best golf club grips for seniors are the oversize grips that are both comfortable and versatile. These grips will mold themselves to your hands and give you a feeling of control that will enhance your game. The right golf ball is important to a good game, and the best golf balls for seniors can adjust to the types of swings that seniors will be using. 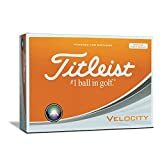 We offer here the best golf balls for slower swing speeds that have plenty of pop off the club head with the right amount of dimples for control. We also offer the best golf ball for high handicap golfers that will help correct bad contact and bring down your score. As a senior golfer, you need to look at all of the new options available to help you with your game. There are gloves that will help ease the pain of your arthritic hands, and the StableGrip gloves from Bionic are the result of years of research. Senior golfers who want to walk the course and carry their clubs will want to find a durable bag that is lightweight and has the features a golfer needs. The TaylorMade FlexTech bag is extremely lightweight, water resistant and it has a stand to make life easier on any senior golfer. To many senior golfers, walking the course is the only way to play. But if you can no longer carry your bag, then you have to look into other options. 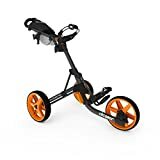 Clicgear makes a very lightweight but durable push cart that can allow seniors to walk the course without having to carry that heavy bag. Senior ladies looking to help their golf game can also benefit from the many products that are available. For example, the best golf clubs for senior ladies have specially designed graphite shafts to give ladies complete control off the tee. Here is a list of products we recommend for senior ladies who want to get the most from their day on the course. The most important tip that can be given to a beginner senior golfer is to start taking lessons from a professional right away. Younger players can experiment with the golf swing and make mistakes that might injure seniors. There are many advantages to learning the game at an older age that can make it very pleasing. For example, senior golfers do not have years of bad habits to try and get rid of in order to develop the right senior swing. Golf is a game to be enjoyed. While being competitive is fun, it is important to focus on enjoying yourself and the course when you play. As we get older, issues with our blood pressure become more pronounced. Golf is a great way to lower the blood pressure, but only if you take it easy and enjoy yourself. Golfers tend to have a lot pride when it comes to their swing and their game in general. The aging process will alter that swing for anyone, and that is why it is so important for senior golfers to understand and account for the physical changes they are going through. If you are an experienced golfer who has never taken lessons, then a good time to start is when you hit 50 years old. A professional can explain how to work with the physical changes you are going through and help you to develop a swing that is both beneficial and comfortable. It is also going to be time to put up those clubs you bought when you were a teenager and get fitted for gear that is going to allow you to enjoy the game at an older age. Custom fit clubs, the right kind of ball and gloves designed to ease the pain in arthritic hands will keep you on the links for many years to come. Many people retire and decide to take up golf for the first time. There are many advantages to learning golf at an advanced age that can help you to enjoy your new pastime. Taking lessons from a teaching professional and investing the right equipment can help you to develop a passion for the game that will be your constant companion in your golden years. What advice do you have for seniors golfers? Any tips you have used to improve your game? 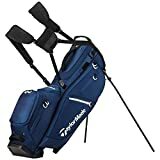 How about gear that you recommend to your fellow golfers? Please feel free to share in the comments below! Also, I’d appreciate a social share if you found this guide helpful!